Girl Kuripot Girl Kuripot: @kedsph, Win a Trip to Singapore to See Taylor Swift! @kedsph, Win a Trip to Singapore to See Taylor Swift! 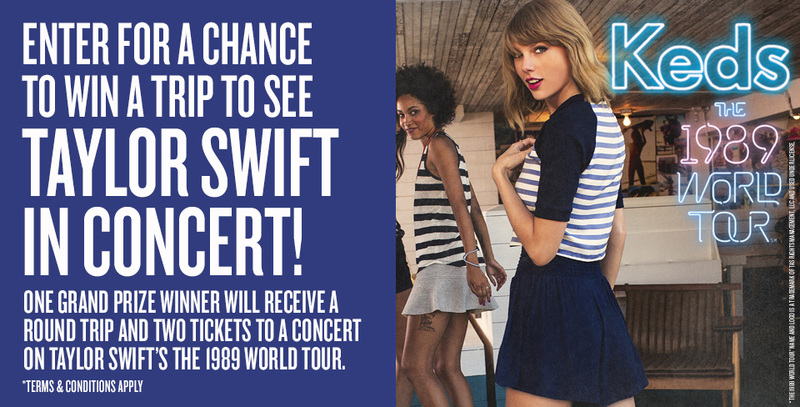 This is a chance to win a trip for 2 to Singapore for the Taylor Swift 1989 World Tour concert! To join, fill up this form on Facebook or join via Instagram by reposting and tagging with the hashtag. Click here for more info on the Keds Philippines Taylor Swift 1989 Singapore World Tour Concert Giveaway.